This one bedroom, one bath home has a large screened in area. Most of the furniture stays with the new buyer. A roof over was completed three years ago. 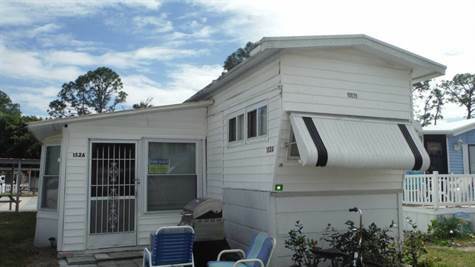 Located in the all age community of Sunseekers, with all the amenities you could want. Pool, shuffle board, and dog park. A short walk to the community pool and shuffle board.